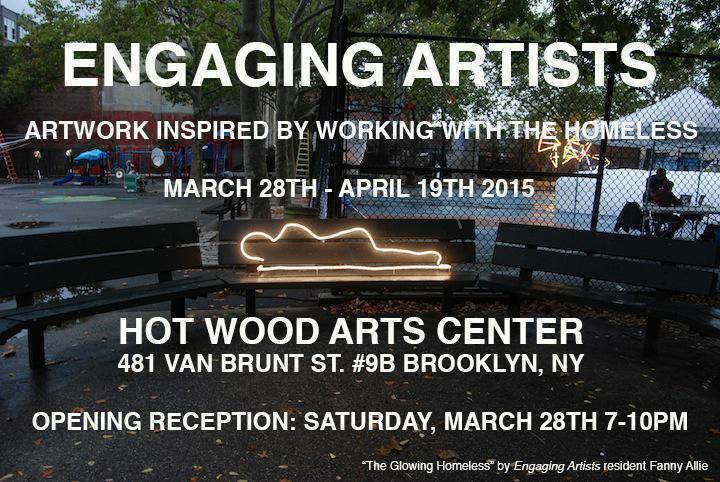 A group exhibition curated by artist and arts organizer Megan Suttles presents work created by 14 artists during the MOREart’s Engaging Artists Residency Show “Artwork inspired by working with the homeless," which opens this Saturday, March 28th, at the Hot Wood Arts Center in Brooklyn, New York. Of special note is artist Anne Peabody's painted glass portrait, which grew out of her friendship with a man with no fixed address who she befriended. Like the other artists during this project, Peabody volunteered for six weeks with homeless advocacy organizations in the summer of 2014. In 14K-gold-leaf on glass, Peabody memorializes “Gilbert Kelly,” who was shot to death by a teenager in a random act of violence. 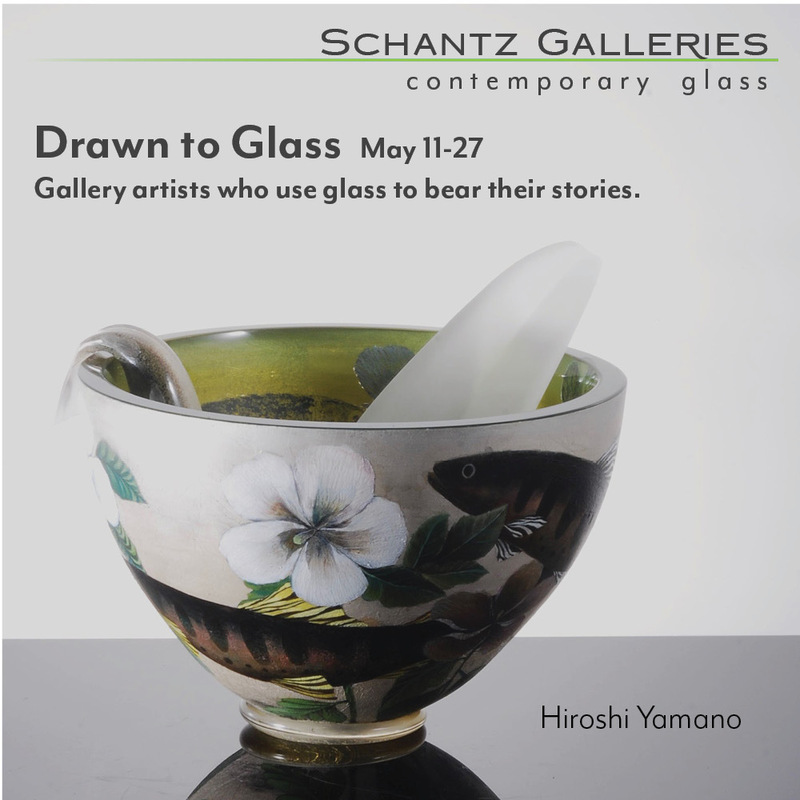 The exhibition, will run through April 19, 2015, with an opening reception on Saturday, March 28th from 7 to 10 PM. Anne Peabody is an American multimedia artist who lives and works in Brooklyn, New York. She started working with glass in graduate school, where she devised a system of drawing on silvered glass to create images that resemble daguerreotypes. This particular technique allows her to have more control of the images since she can rely on her own drawings. Since then she has created precise images inspire by folklore, secrets, confessions, and landscapes. 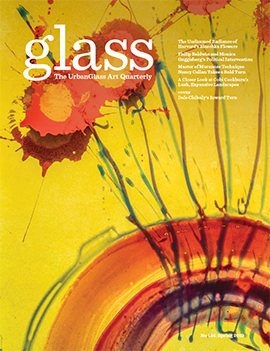 “I love working with glass," Peabody told the GLASS Quarterly Hot Sheet in an email exchange. "Also precious metals primarily because of what they mean symbolically to me”. The “Artwork inspired by working with the homeless” project caught Peabody's attention after the death of her homeless friend Gilbert Kelly, whose random murder brought home the very real dangers of unsheltered homelessness. “Kelly was a very important person in my life, and the labor-intensive nature of the drawing, combined with the fragility of glass and the expense of gold makes this memento seem very valuable for me,” Peabody said. The use of mirrored glass in For Kelly fits perfect to the subject because the viewer can see him or herself in the work, as well as the image of the murdered Gilbert. Peabody based her14k gold leaf portrait on a snapshot of him nailed to the tree where her friend died. The group show also includes work by Anna Adler, Flavia Berindoague, Corinne Cappelletti, Travis Fairclough, Christina Sukhigan Houle, Sue Jeong Ka, Anthony Heinz May, Emily Miller, Julia A.Rooney, David Wallace and Kate Weigel. "Artwork inspired by working with the homeless"